Kimyi offers industrial reverse osmosis water treatment systems from -1,500 GPM. Reverse osmosis is a powerful water treatment for reducing as much as 99% of dissolved mineral salts, organics, along with other particles by forcing water pressurized through a semi-permeable membrane. The operation is called “reverse osmosis” since it is the opposite from the natural osmotic process, where water from the solution having a low concentration of dissolved solids pass through a membrane trying to dilute a greater concentration solution. 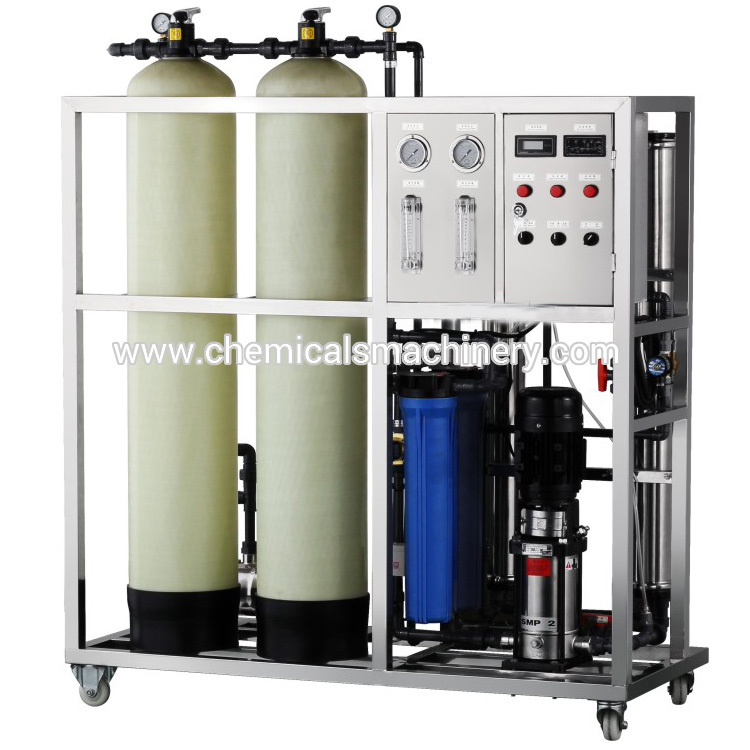 The ro water treatment plant is caused by making use of pressure having a pump to some solution having a high concentration of dissolved solids, causing water in the concentrated solution to penetrate the membrane. This water is called product water. Dissolved solids don’t go through the membrane they’re constantly flushed to discharge as waste. The action of flushing also keeps the membrane surface clean. Desalination and purification of salt water, and remove colloid, organic matter and bacteria. Using water pressure as a driving force, keep lowest energy consumption in kinds of water treatment method. No much chemical treatment needed, no chemical waste discharge, no environmental pollution. High recovery rate, up to 70% or more. High degree of automation, the equipment will be shutdown automatically in case of in trouble which has automatic protection function. Continuously water producing, simple system, easy to operate, stable produced water quality. Equipment covers small area, compact structure, reliable operation, high produced water quality.